The Lifestart Kayak for Kids – a non-competitive fund-raiser, or full blown race?? 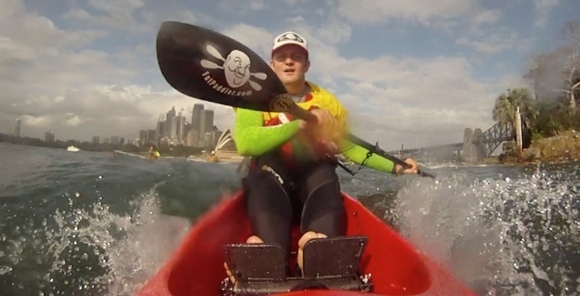 The Lifestart Kayak for Kids is a great charity race held each year on Sydney Harbour. This year 900 paddlers took to the water and raised donations for the great work that Lifestart does helping children with developmental needs such as Down Syndrome and Autism. 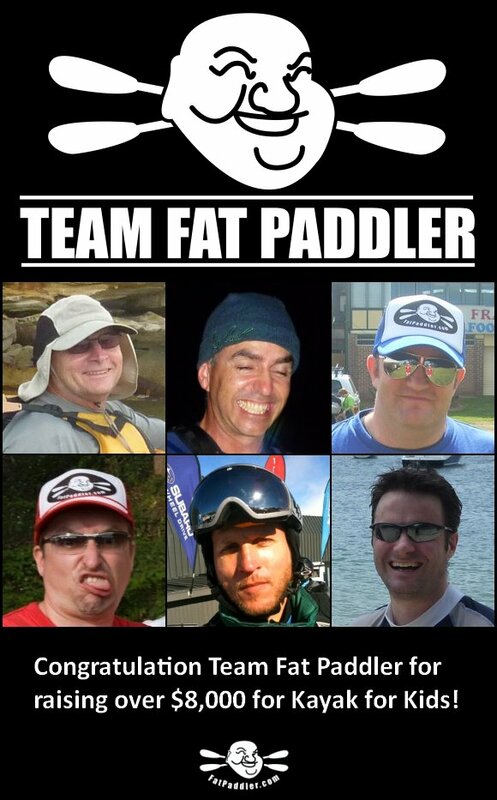 The charity itself has involvement with some family members of Team Fat Paddler and is an event we never miss. Apart from the funds we raised as a team, it’s also a great reason to get out on the water with your friends. Whether you like a social paddle or a competitive hit-out, the 17km race gives ample opportunity to get whatever paddle you want. Normally for me this event has been all about fun, but this year the event took a different tack, as my surfski rival and best mate Nat from SydneySurfski.com eyed me off for race honours. To keep it in perspective, I’d never beaten Nat in a race before (other than the Hawkesbury Canoe Classic, where Nat withdrew at the 83km mark). His extra experience on the surfski and better technique have always pulled him across the line ahead of me, particularly in shorter flat water races. Still, I’ve been slowly improving and finishing not far behind, and definitely close enough for him to notice and start trying a little harder to keep me out. Hey Sean aka FP, sounds like there was some real competition going on, good on you and thanks for raising funds for Lifestart. We at Lifestart love having you involved in the paddle.